Following the success of his huge collaboration on ‘Calling (Lose My Mind)’ with young protégé Alesso, Refune founder and label boss Sebastian Ingrosso has teamed up with one of Australia's favourite sons, Tommy Trash, for new track ‘Reload’. Such a pairing between two of dance music’s biggest characters was never going to produce anything other than a future anthem, and the track is already smashing floors all over the world. On ‘Reload’ these two titans join forces to showcase a dynamic blend of styles, utilizing their ample studio experience to its fullest as they break new ground. At once muscular and melodic, the fusion of these two producers‘ talents is fresh, exciting and nothing short of exceptional. While the galloping drums and pulsing, distorted bassline ensure that energy is kept at fever pitch throughout, the emotive melody is able to build to its climax in a wave of soaring synths. 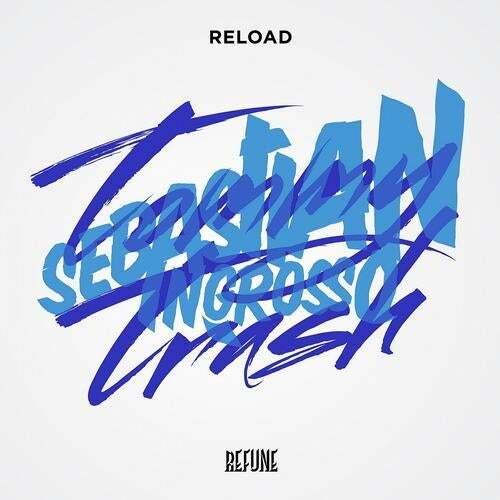 ‘Reload’ is the latest installment in what has been a stellar year for Sebastian Ingrosso’s Refune label. Having achieved worldwide success with ‘Calling (Lose My Mind)’, his collaboration with Alesso, the label has also been behind Alesso’s solo tracks ‘Raise Your Head’ and ‘Years’, Deniz Koyu’s ‘Bong’ and of course ubiquitous summer smash ‘Million Voices’ from rising talent Otto Knows.